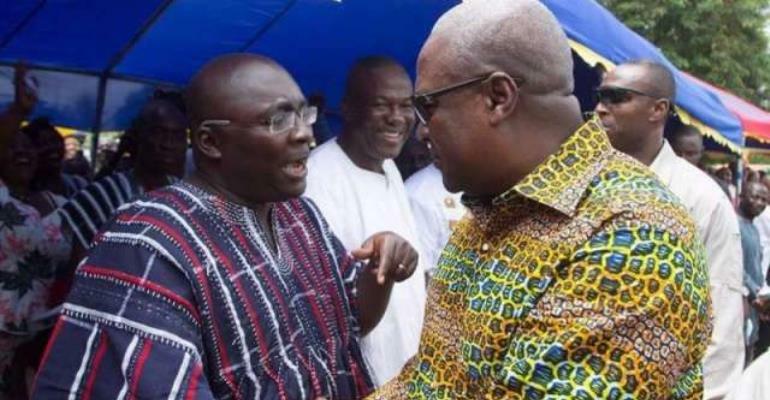 Former President of Ghana and leader of the National Democratic Congress (NDC), John Dramani Mahama has said the reality of Ghanaians’ living conditions will expose Dr. Bawumia and his government if he continues to lie and engage in propaganda with the economy. Mr. John Mahama, who was speaking at a public lecture on Ghana’s economy on Wednesday, April 4, 2019 under the theme: “The State Of Ghanaian Economy: Myths And Truths”, organized by the Coalition For Restoration, a pro-NDC pressure group indicated that Dr. Bawumia was only engaging in pure public relations gimmick while hiding the real ills of the economy for propaganda purposes. “And so, in putting out your communication as a public relationist, you try to present your institution or the person that you are trying to promote in the best possible light”. Mr. Mahama also took a turn to extol the Mr. Isaac Adongo for his economic dexterity and other panelists who happened to be Ministers and Deputies Ministers in erstwhile government. The NDC economic lecture has been billed as the opposition’s response to the government’s Town Hall Meeting addressed by Vice-President Dr. Mahamudu Bawumia. President Akufo-Addo painting Ghana black – Mahama.